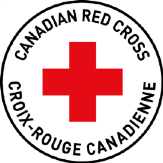 The second phase of the Canadian Red Cross Support to Small Business Program, through the generous funding from and in partnership with the Government of B.C., will provide additional financial assistance for Small Businesses and First Nations Cultural Livelihoods impacted by the British Columbia 2017 wildfires. This additional financial assistance is to provide support for uninsured financial losses as a result of interrupted business operations, due to the fires. The amount of financial assistance provided to eligible businesses will be based on their individual needs, as determined through the application process. Have 50 employees or less. Be located in a community that was under an evacuation order or evacuation alert as a result of the 2017 British Columbia Fires, including First Nations businesses or traditional cultural livelihoods located on-reserve. Have been in operation on or before July 7, 2017. Be financially vulnerable as a result of the 2017 BC Fires. Have resumed or are intending to resume operations. Have a net income of less than $250,000 (calculated as revenue less expenses). Have the business or livelihood be their primary source of income.